I went from planning on skipping a guestbook entirely to coming up with a really cool DIY that was my favorite project. My initial thought was- who even looks at a book of names? I didn’t want to have something that would just sit in a box or on a shelf for all of eternity. Weddings are so full of things, work, and money spent. I wanted to keep the focus on love, family, and friends. I was streamlining and skipping everything that didn’t have special meaning for me (minimalism again!). Then I started to receive cards. 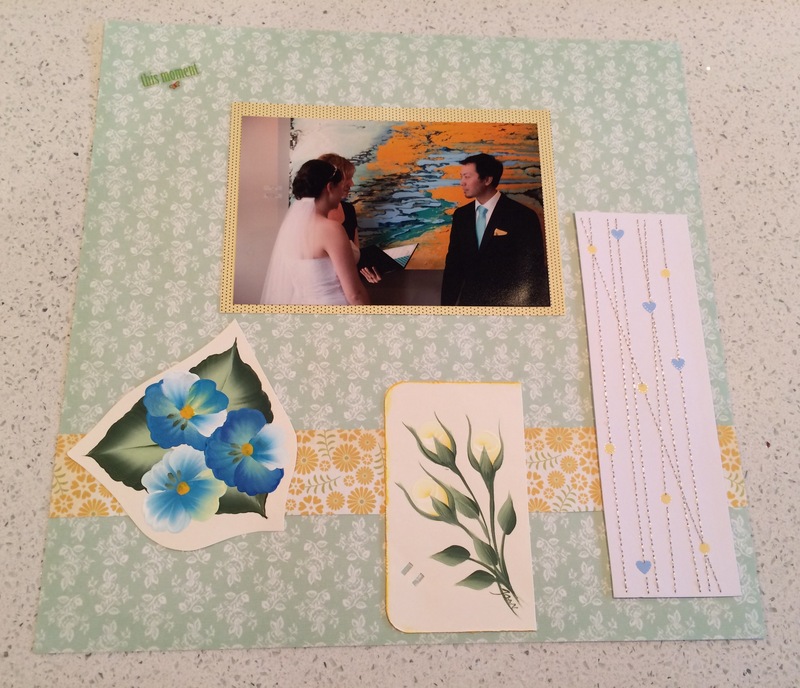 I don’t keep a lot of things, but the wedding cards were really pretty, and were full of special and loving wishes. I looked on Pinterest and there were ideas for how to make these into a book, but I didn’t think I would really look at that much more than a guestbook. I’ve never made a scrapbook in my life. I greatly admire those who do, but that falls into the category of “ain’t nobody got time for that” for me. 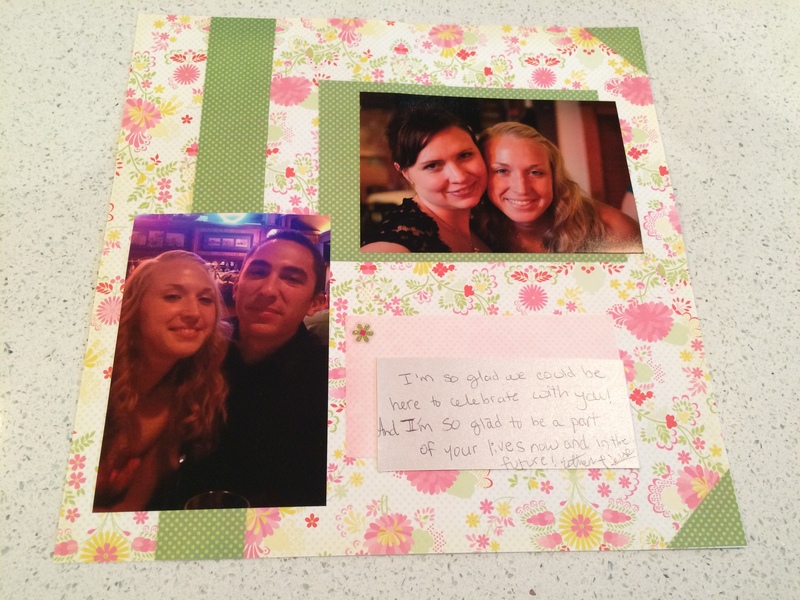 I don’t know how, but the idea of making a scrapbook popped into my head. 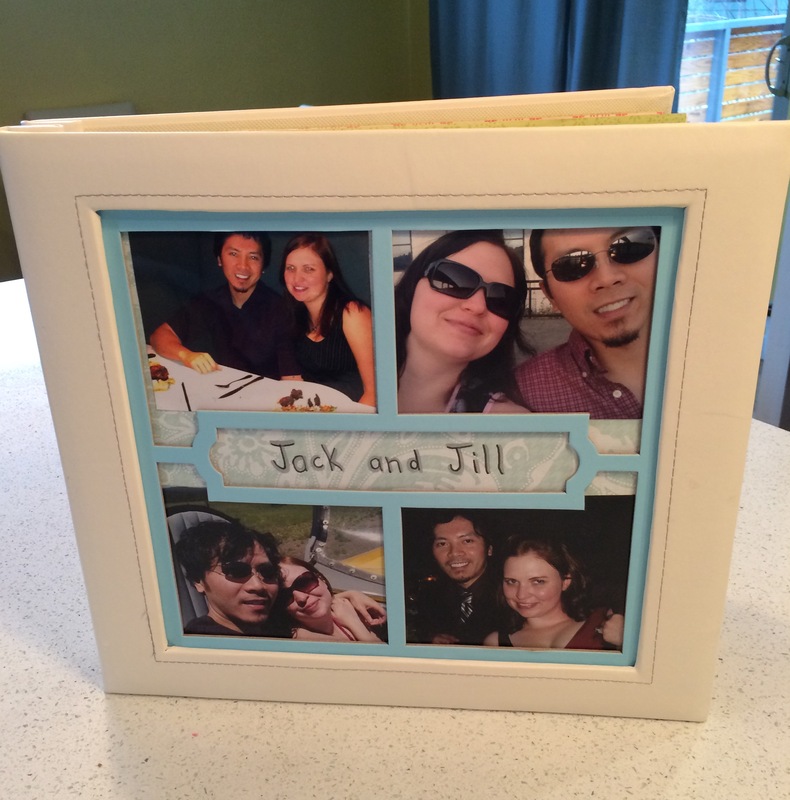 Suddenly, I couldn’t picture my wedding without a scrapbook guestbook. I would have the photographer make sure to get a photo of every person, and I would have each guest choose a page to write on for us. Afterwards, I would put their photo on their page. I bought a photo album, a bunch of glue sticks, a flower shaped hole punch, and a book of scrap booking paper. My vision was that I would make the pages ahead of time (because I didn’t want people spending a ton of time feeling like they were forced to do crafts), and I would lay it all out on a table so that people could fill out their page at their leisure. In the end I had several pages left, so I used wedding photos and pieces of cards I was given to create pages such as the one below. I also printed out our ceremony and put it in the book, and added our invitations and several other little things that we wanted to remember. We have been married a little over two years, and have used this book as a coffee table book ever since. We flip through it occasionally, and people who visit like to flip through it and look for their page. It doesn’t get used every day or anything, but I like having it all in one place and I think it’s a really cool memory book. 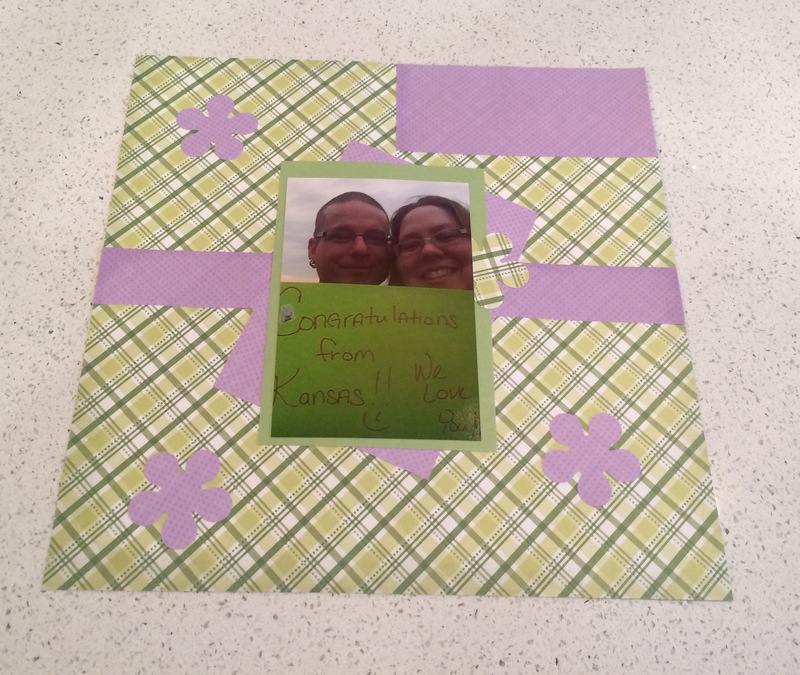 I’ve scrapbooked in the past, I love the finished product but it’s time consuming, expensive and takes a lot of space….. your wedding books turned out great plus the pages also provided entertainment and a conversational icebreaker for your guests! I’m thinking about using all the Christmas photo cards that I got this year to create a book, kind of a simplified version! That would be so fun! Or maybe make Christmas ornaments- that would be super cute. Nice idea. 🙂 You can keep visiting your special day again and again .